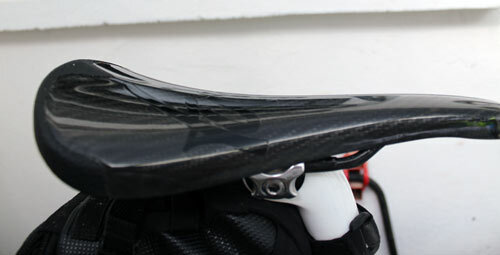 It is so lightweight, it has dispensed with the usual saddle rails, integrating that it to the outer shell of the saddle. But, unfortunately, it didn’t fit my unorthodox Trek madone seat post. I sent it back, and fortunately Posh Bikes were happy to exchange for the other Tune saddle they had is stock. If you buy the Concorde check it fits your bike as there are no rails at all. no saddle rails. I know one hill climber who reckoned his bike would be ligher if he removed some chain ring bolts from his chain ring, and hope that 3 would be sufficient to prevent bike falling apart. I find it surprisingly comfortable. There is a little flex and for 2-3 hour rides, I really don’t mind. I haven’t yet tested for longer rides, but I might do. 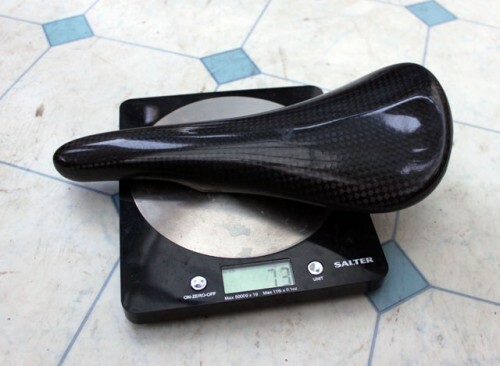 This is really a specialist saddle, which will appeal to a pretty narrow range of cyclists. For most cyclists, a comfortable ride is far more important than saving 200grams. You won’t really notice 200grams, you will notice a sore posterior. But, if you’re used to riding on racing saddles, you might be surprised, it’s better than it looks.. It is so smooth it’s a little slippy. It’s also quite narrow to prevent chafing on the thighs. It’s fairly easy to fit. But, it is much lower than your standard saddle. 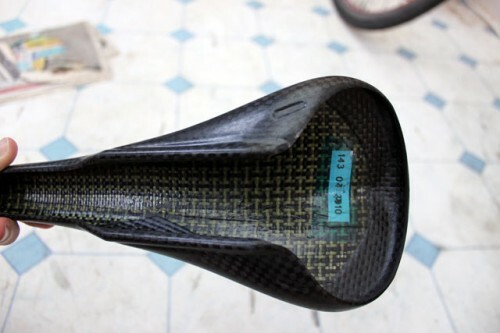 After fitting, I had to increase the saddle by nearly 2cm to maintain same pedal to seat height. Nothing is lost on unnecessary padding! Overall, very happy with new saddle. 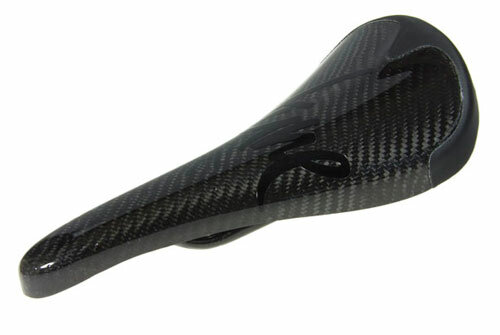 £200 is actually quite good value for a 100gram saving over Bontrager and 200gram saving over Selle Italia. Though if you’re not a hill climber, you may prefer to spend that £200 on 100 portions of chips and gravy. (1) in case you’re wondering a random reference to some Monty python sketch about a fat man and a wafer thin mint. I have a philosophy everything in life can be reduce to Monty Python Sketches. I love your theory on Monty Python. I myself can no longer speak the phrase ‘wafer thin’ without pronouncing it with a hard ‘a’. I get some funny looks sometimes.